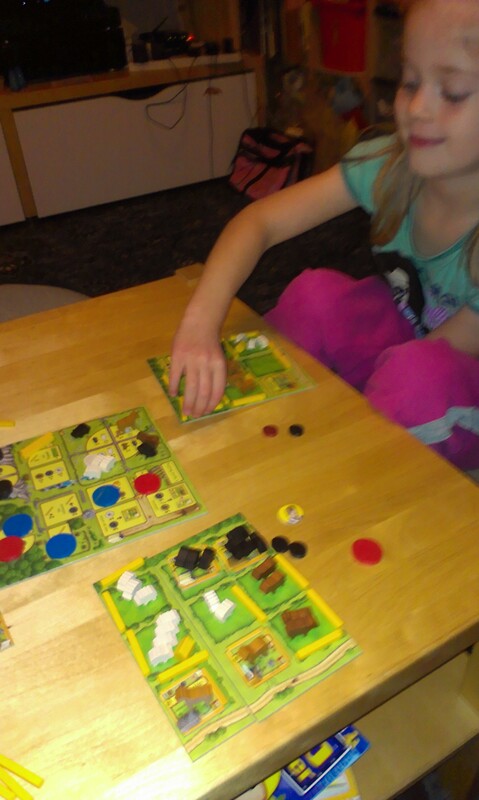 I bought Agricola: All Creatures Big and Small as a game that I thought would be good to play with the missus, but I also figured Miss B may get on well with it. After all, it has little wooden animeeples and is all about building a farm full of animals. What’s not to like? Actually, the basic mechanic of the game is very similar to the one we are familiar with for Lords of Waterdeep: take it in turns to place a worker onto an action space and then do what that space allows you to do. 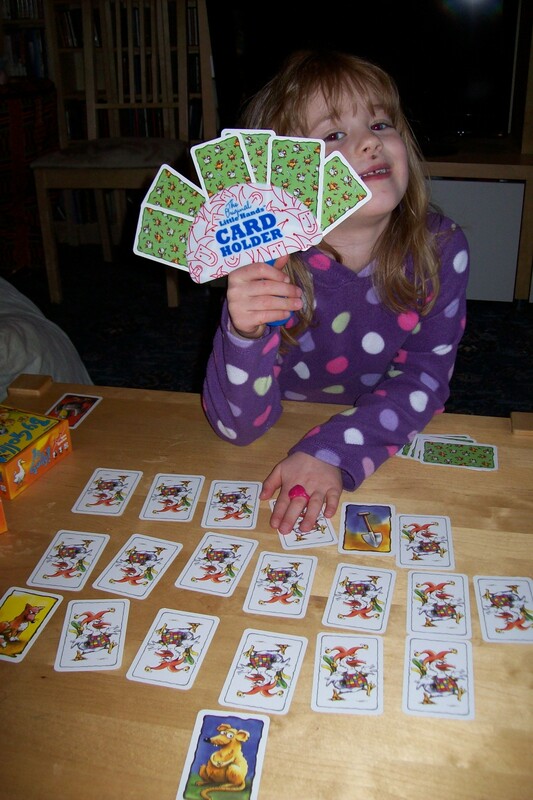 No problems there, and it makes for a pretty fast paced game, notwithstanding having to give many reminders to the young opponent that it is her turn! I haven’t played the original Agricola game, although I’m sure one day I will be able to remedy that. 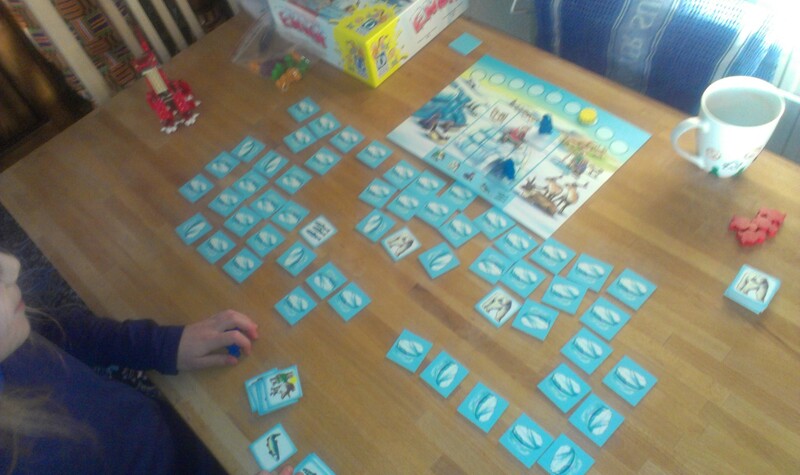 By all accounts, though, All Creatures Big and Small takes the essence of a big and deep game and distils it into a quick and lightish game that can be played in about half an hour (or closer to an hour so far with Miss B). The original game, apparently, derives a lot of challenge from trying to keep your family fed and healthy, whereas ACBAS gets rid of that and just has you developing pastures and farm buildings in order to raise animals. As with many worker placement games there is quite a lot to think about as you have to gather resources and then make use of them. In practice, this means that she needs some suggestions most turns as to what to do. 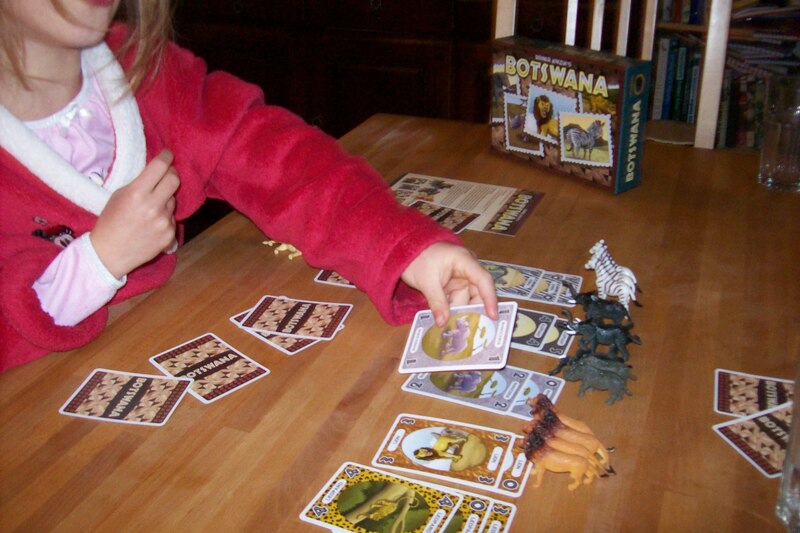 The rulebook actually covers this and suggests that if a kid is playing, a parent sits with them and gives them a couple of decent options to choose from each turn. Nice to see that sort of thing incorporated into what definitely a fairly “grown-up” game. Overall I like this game a great deal so far and hope to be playing it a lot in future. It ticks a lot of boxes for me as a gamer (though I do like a small random element in general, which this does not have) and, stepping away from serious gaming, there is a lot of joy to be had from playing at building a farm containing heaps of cute little wooden animals. The verdict from Miss B (aged 5¾): “I don’t like it because the workers are just big blobs. I like it if they were meeples. I like making the buildings and adding bits to our farm. It’s a good and fun game.” I’d very much agree with that: with the awesomeness of having animeeples, it’s a shame that the workers are just wooden disks; making them meeples would make the whole thing so much cooler. Come to think of it I might get hold of some meeples to substitute in. 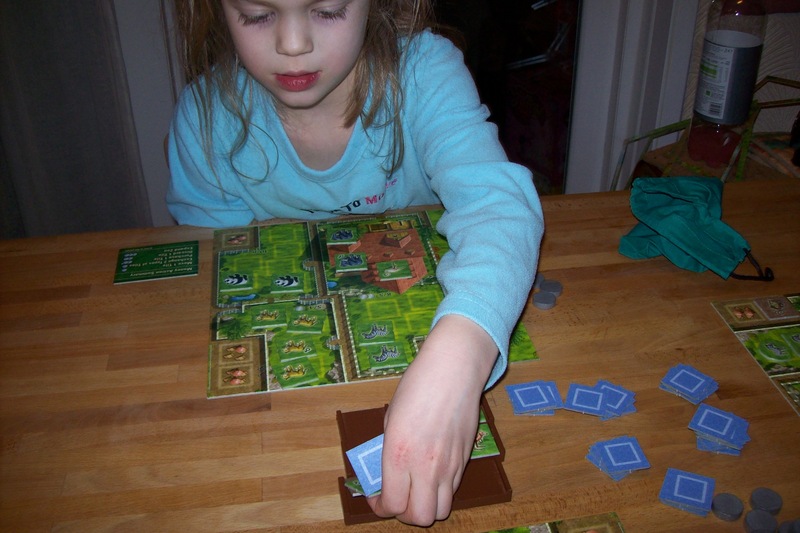 The game: Agricola: All Creatures Big and Small (Z-Man Games), 2, aged 13+. Why do some of them not have shields?